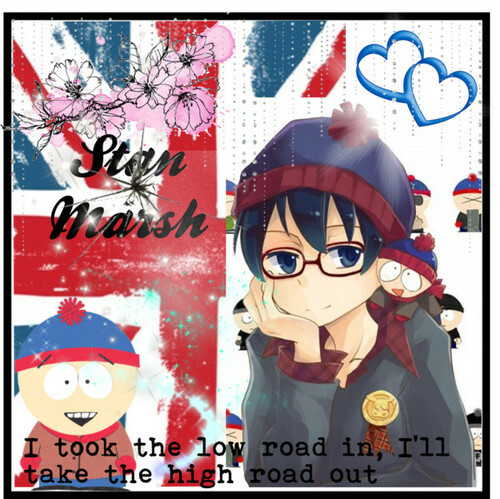 Stan Marsh Hintergrund. The lyrics on the bottom is High Road Von Three Days Grace. I made this on polyvore ;). Wallpaper and background images in the South Park club. This South Park photo might contain anime, comic, manga, cartoon, comic buch, karikatur, and comics.